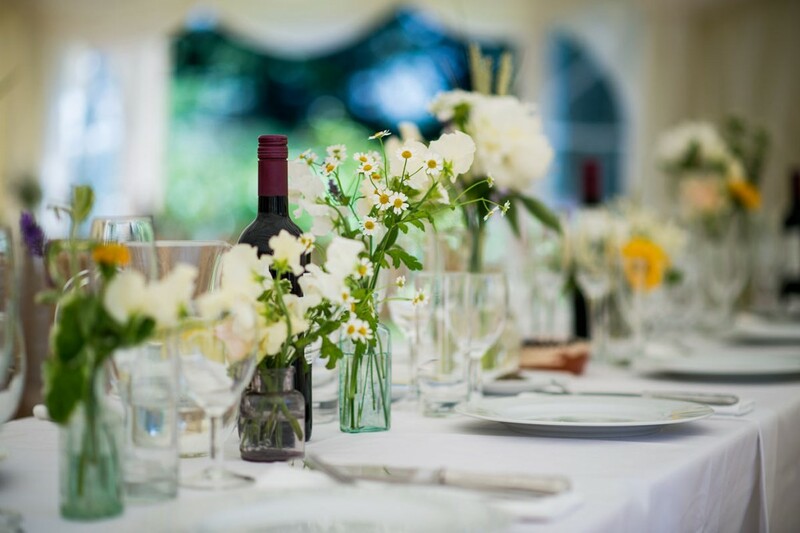 Alison and John’s was a small, intimate wedding, held in the garden of Alison’s family home. The style was informal, the flowers seasonal, reflecting the idea of an English country garden. 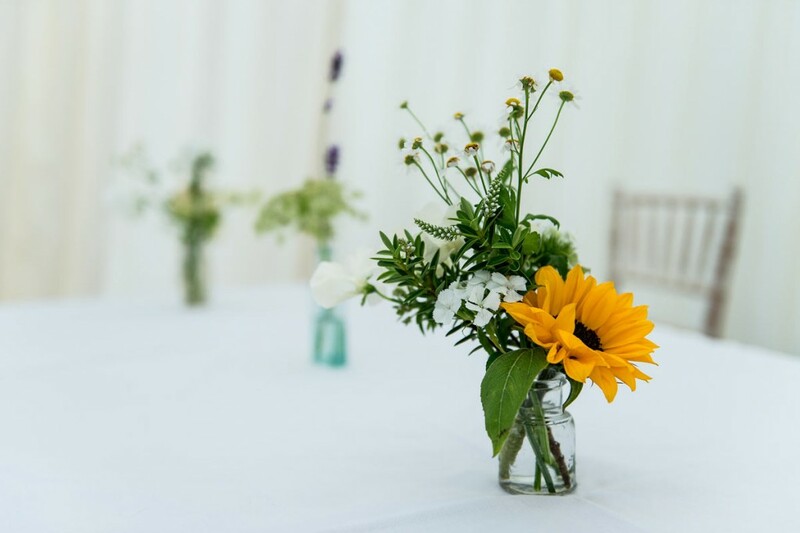 White and cream sweet peas, lavender, feverfew, white peony – and a punch of colour in the form of sunflowers – displayed in vintage medicine bottles and small jars ran down the length of each table, creating impact without looking too showy. Wedding table arrangement with feverfew and white sweet pea in vintage medicine bottles. 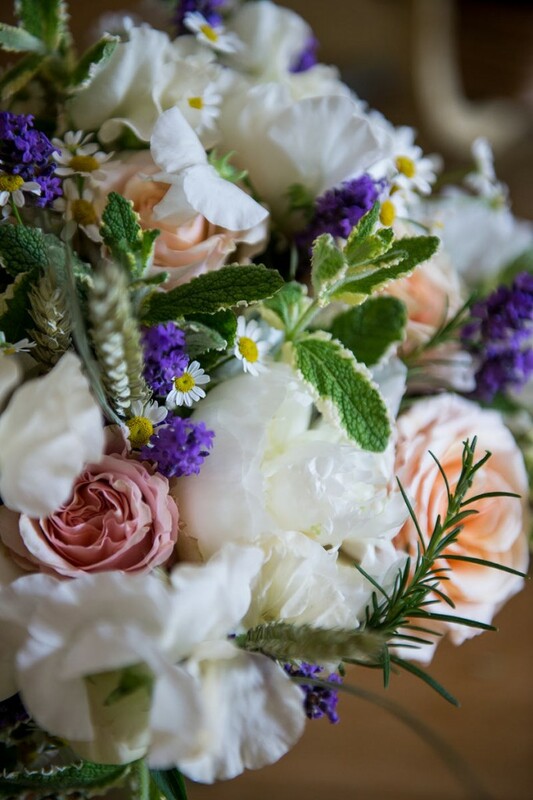 Alison’s loose, hand-tied bouquet echoed the informal style with white peony, champagne rose, lavender, feverfew, sweet pea, husks of wheat and variegated pineapple mint. A subtle wedding full of style and beautiful scents of early summer.